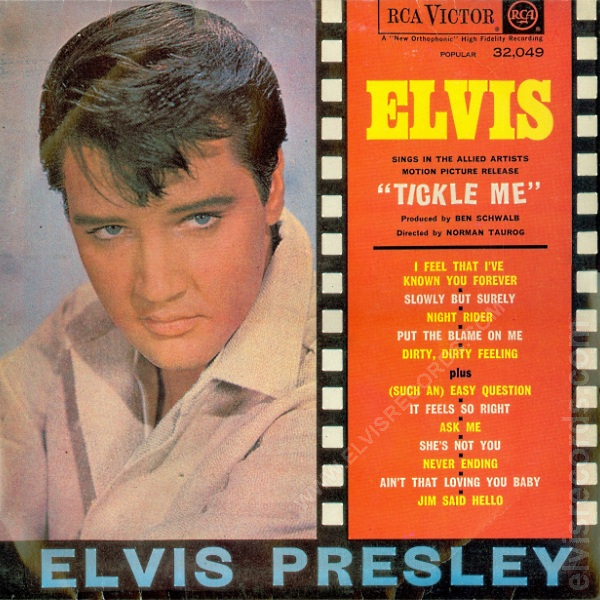 Cover Front: Elvis Presley on left side, song titles on right. 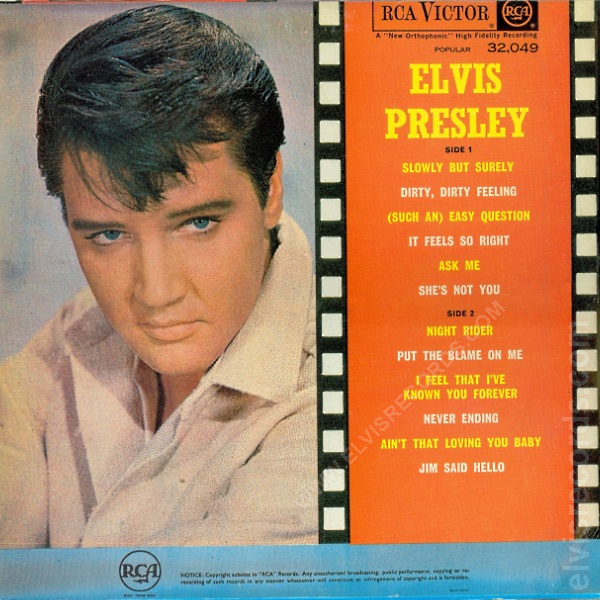 Elvis Presley in blue letters with black background on bottom. 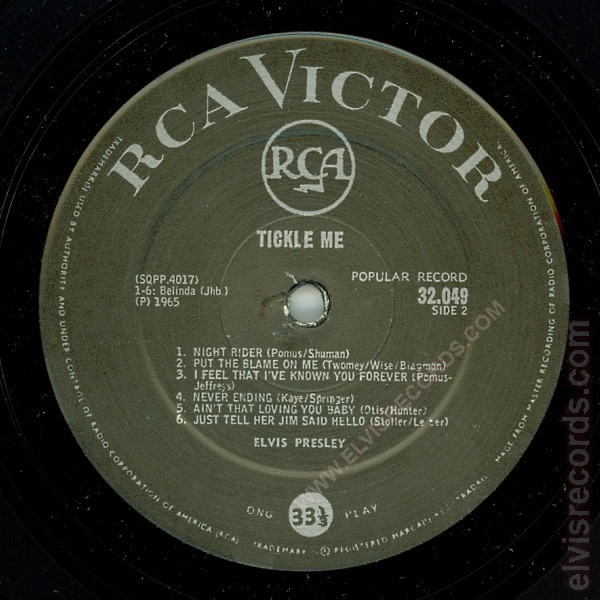 Catalog number and RCA Victor upper right corner. Cover Back: Elvis Presley on left side, song titles on right. Copyright information in black with blue background on bottom. 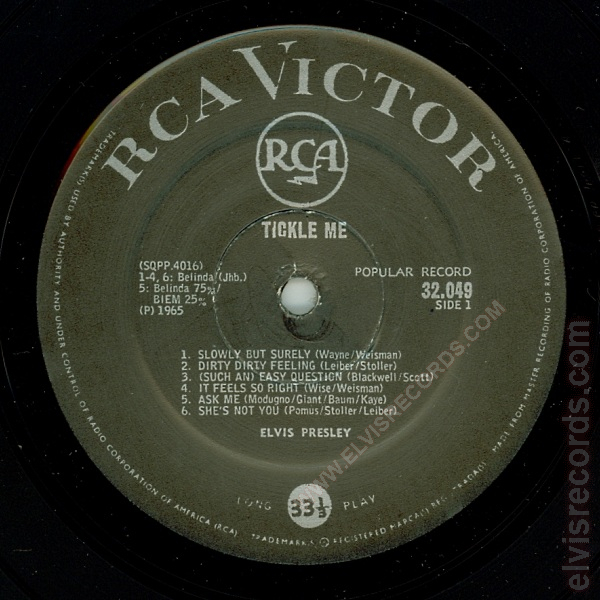 Catalog number and RCA Victor upper right corner. 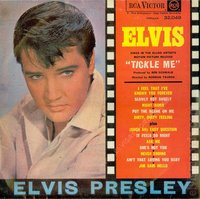 This is a counterfeit of the original South African release Tickle Me album, release year unknown for the moment, 1980 is a filler. The cover and record labels are nearly identical in graphics and font layout. However, the cover is much more cheaply made. 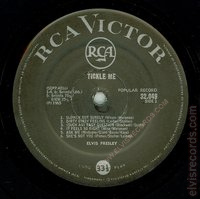 The original South African release label is flat, whereas this counterfeit has indentations in the vinyl which gives the ridged effect to the label. The trail-off area on side 1 on the counterfeit incorrectly states SQPP-4017A, where on the label it is SQPP-4016. This counterfeit may have been printed to fill the gaps of some collections, however, be careful some may pass this one off as an original. 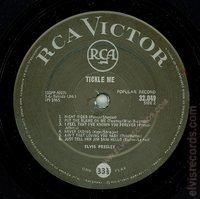 It is also interesting to note that the cover has for side 2, Jim Said hello, whereas the record label is correct with Just Tell Her Jim Said Hello.